Posted on April 6, 2018 by K.J. On the Isle of Man there is a bridge that belongs to The Little People. It is called the Fairy Bridge. The Little People (also called Themselves) are NOT fairies. They do not associate themselves with fairies and find it quite insulting to be called fairies. They are Themselves or Little People (Little Fellows), period. As I have done research into the folktales on the Isle Of Man, I have not come across the reason they detest being called fairies. I can only imagine how much the Little People laugh at the humans who pass over the bridge. 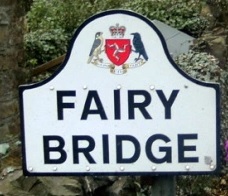 It might be that fairies do live under the bridge, but beware. They are tricksters. If you cross over the bridge be sure to say thank you for allowing you to cross. Most people don’t realize that this well known bridge is only there for the tourists. There is another bridge, more difficult to get to, that is the true bridge of the Little People. This is the bridge I have in my book. Kaitlin’s first encounter with the magical world on the Isle of Man is under this bridge. Her life will change in ways she never dreamed of. If you should find your way to this bridge, remember to give a kind nod of thanks. You are the guest of the Little People. They only ask for your respect. If you don’t, watch out. Your life could change in ways you never dreamed of just like Kaitlin’s does. 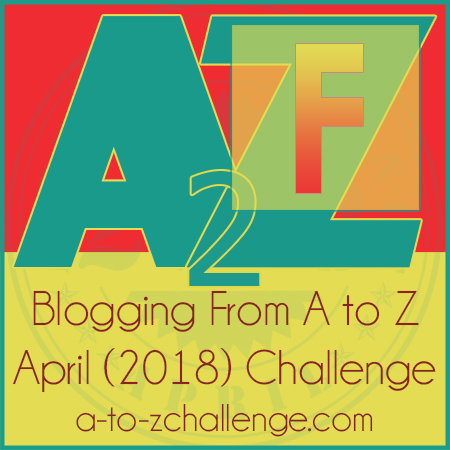 This entry was posted in fairies, magic, The Manx and tagged #amwriting, #atozchallenge, fairies, Fairy Bridge, Isle of Man, Little People, magic, Manx folktales, The Manx, Themselves by K.J.. Bookmark the permalink.